When Sam Walker’s father passed away, he decided to give his father’s 2007 Jeep Commander to his daughter and her husband who live in Colorado. Before he drove the Jeep to Colorado, he took it to Darcy Lapointe at Watkinsville Service Center to get the Jeep serviced. A month later, Walker and his wife were going to Chesapeake, Maryland for vacation. 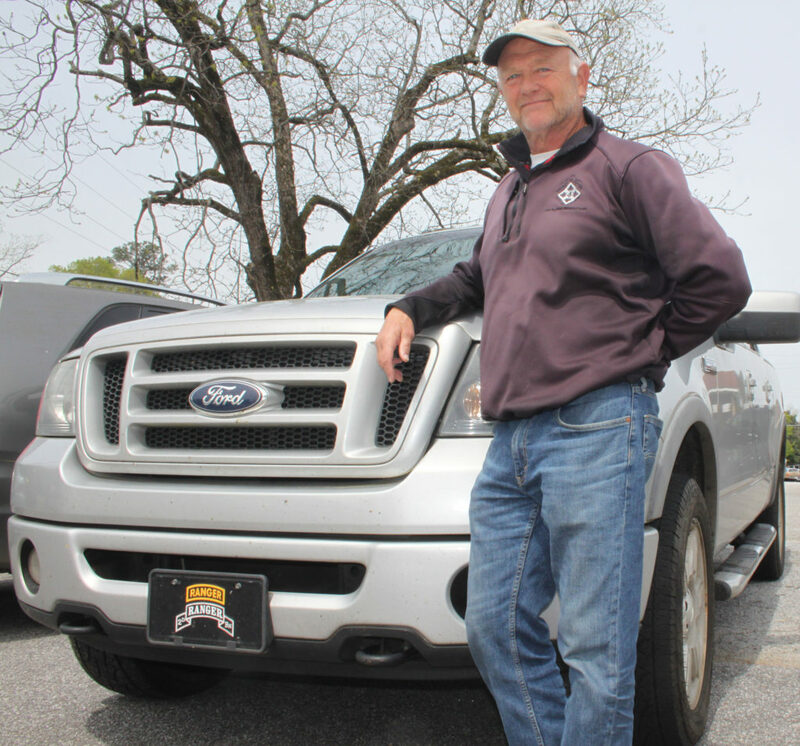 Before they left, he took his Ford F-150 to Watkinsville Service Center. “Any long trips I go on, I take the vehicle in to Darcy first,” Walker said. Walker, a retired lieutenant colonel whose family has a rich military history, said his relationship with Darcy goes back to 1996. Walker said he didn’t feel right about the diagnosis or the estimate on his engine. “I was commuting from Athens to Oconee as I was building the house, and I decided to just take it into this service station on Main Street,” Walker recalled. “I told Darcy what was going on with it, and Darcy looked at me and said, ‘Naw. You can’t destroy that engine unless you’ve done something bad.’ He told me to leave it with him and he’d take a look at it. Sam Walker is third generation army. His grandfather and father were both four star generals – a rare feat accomplished by only one other father and son. Both were West Point graduates, and Sam was a graduate of West Point, too. His son is also a West Point graduate and retired as an army captain in 2013. Walker said a few years ago he was looking to buy a used pickup truck. He found one he thought he liked, and he took it to Darcy. But Walker said his friendship with Darcy is not something unique or unusual among the customers at Watkinsville Service Center.